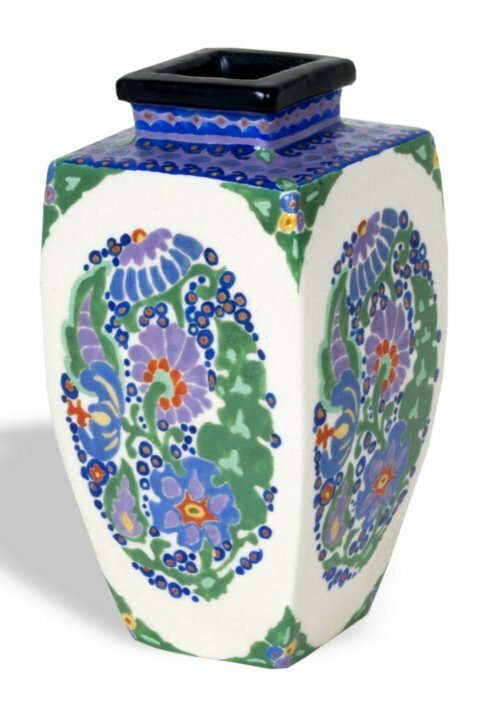 Hand painted porcelain vase decorated by amateur artist Gertrude M. Anderson Armantrout. She signed and dated each piece, marking this one "November 1929." Born in Topeka, Kansas in 1891, Armantrout painted china as a hobby from 1906 to 1936. Some pieces were exhibited at state fairs in Oklahoma and Kansas. Many of her works were featured in newspaper and magazine articles. Armantrout's daughter, Marjorie Davis, inherited the collection in the late 1960s.